Shawn Mendes Tops Spotify Philippines’ 25 Under 25 List - Hello! Welcome to my blog! Spotify revealed the list of the 25 most influential artists under the age of 25 who are dominating the music industry in the Philippines right now. Taking a look at the Spotify data, eighteen-year-old Canadian singer-songwriter Shawn Mendes tops the list, boasting 25 million Spotify listeners each month and over 500 million streams of his breakout smash, Stitches. Following Shawn Mendes at the top of the list are Ariana Grande, Martin Garrix, Justin Bieber and Alessia Cara. To determine the 25 under 25 list, music experts at Spotify looked at a variety of factors such as the number of people listening to an artist each month, artists with songs featured in Spotify’s top playlists and top-performing artists by genre. The top 25 list also includes newcomers bursting onto the scene, such as Ylona Garcia, who at just 14, proved everyone that age is just a number. Her single “Dahan Dahan Dahan Lang” is definitely creating waves amongst Spotify users. Also included are mainstays Selena Gomez and Demi Lovato. “These young artists have broken boundaries and are certainly leading global culture regardless of age, making an impact across the world with their creativity and music. We are excited to see music from all over the world – international, regional and local – resonate amongst our Spotify users in the Philippines. With so many young listeners on Spotify, it's always fascinating to hone in on the peer artists they're listening to and looking up to," said Chee Meng, Tan, Director of Label Relations, Spotify, APAC. Listen to Spotify’s 25 Under 25 Playlist (Philippines Edition) below or here. 1. Shawn Mendes: Shawn Mendes started out posting six-second Vine clips of himself singing covers, and now, at 18, the singer-songwriter from Toronto fills major venues and attracts an impressive 25 million Spotify listeners each month. 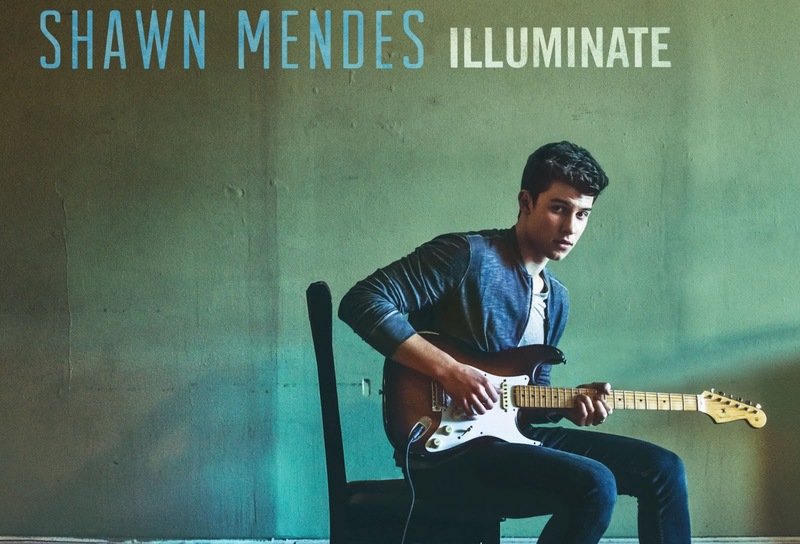 Mendes' sophomore album, Illuminate, dropped in September and multiple tracks are popping on Spotify, with notable standout, “Treat You Better,” on track to give Mendes' breakout smash “Stitches” (500 million plus streams) a run for its money. Watch his interview with Spotify here. 2. Ariana Grande: Ariana Grande might not be a dangerous woman in the criminal sense, but her music slays. Multiple tracks from the 23-year-old singer’s latest album became instant hits; “Dangerous Woman” and “Into You” have both clocked more than 200 million streams each, and “Side to Side” (with Nicki Minaj), is a top 10 song on Spotify’s global chart. Did we also mention Grande has 27 million monthly listeners? Ok, maybe she is dangerous. 3. Martin Garrix: Having reached EDM stardom at the age of 17 thanks to several bombastic remixes, Dutch artist Martin Garrix, now 20, is at the top of his game. Garrix’ banger, “In The Name of Love,” is tearing it up on Spotify’s “Today’s Top Hits” playlist. With 21 million monthly listeners, Garrix is comfortable hanging out as one of Spotify’s top twenty most popular artists of all time. Garrix just released a new single, “Make Up Your Mind,” on October 21st. 4. Justin Bieber: Justin Bieber has been on a hot streak since his comeback Diplo/Skrillex collaboration “Where Are Ü Now” dropped in early 2015. With follow-up monster solo hits that just keep coming at us, like “Love Yourself,” “What Do You Mean?” and “Sorry” - which have all passed the 700 million streams mark - there’s just no stopping the Biebs. Bieber’s collaboration with Major Lazer and MØ, “Cold Water” is currently streaming more than 2.5 million times a day. 5. Alessia Cara: Alessia Cara might have made a name for herself with a song about her disdain for teen parties, but the party has definitely arrived for this talented 20-year-old from Ontario, Canada. Since the success of “Here,” Spotify’s most viral song in the U.S. last year (and #5 globally), the R&B singer has attracted more than 13 million monthly listeners. Cara’s track, “Scars to Your Beautiful,” is a favorite in our “Today’s Top Hits” playlist at the moment. 6. 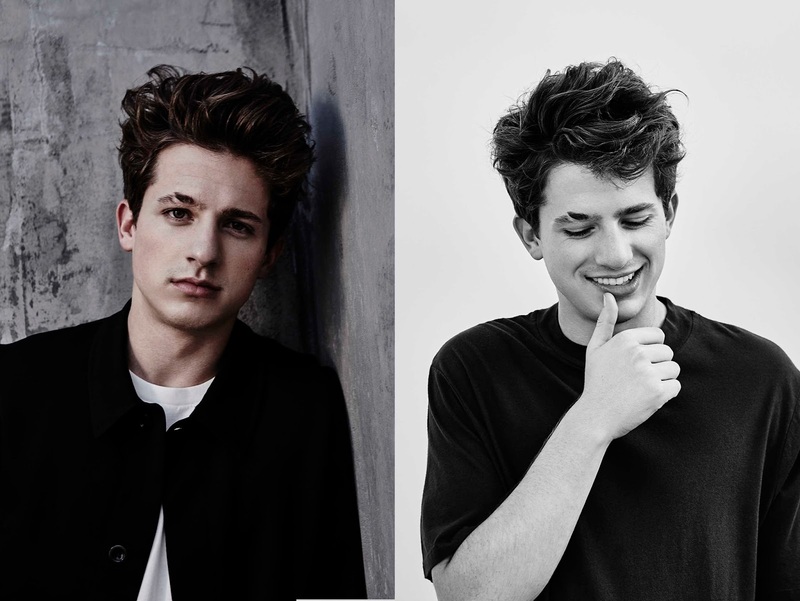 Charlie Puth: With a whopping 20 million monthly listeners on Spotify, singer-songwriter Charlie Puth is one of the top players in pop music today. He gained worldwide recognition for the Wiz Khalifa song “See You Again” which Puth wrote, produced and sang on. His duets with leading ladies like Meghan Trainor (“Marvin Gaye”) and Selena Gomez (“We Don’t Talk Anymore”) turned to pop gold, with the latter seeming to have taken up permanent residency on our global charts. 7. Fifth Harmony: This all-girl R&B group needs no introduction; more than 16 million Spotify listeners stream Fifth Harmony’s infectious tracks each month. The fun, flirty jam “Work From Home” has racked up more than half a billion listens and was a playlist staple over the summer in the U.S. and UK (much like “Worth It” from the year before), and current favorite “All In My Head (Flex)” (featuring Fetty Wap) has flexed some serious muscle on our charts. 8. Hailee Steinfeld: Hailee Steinfeld’s latest track, “Starving,” is taking off, with more than 160 million streams and a confident sojourn up Spotify’s global chart. It’s safe to say the track solidifies the 19-year-old oscar-nominated actress as a top pop artist, following on from last year’s breakout single “Love Myself” (210 million streams). Steinfeld, who also starred as one of the Bardon Bellas in the accapella-celebrating movie “Pitch Perfect 2,” has 17 million monthly listeners which, I think we can all agree, is aca-astounding. 9. Zara Larsson: After winning a TV talent show in her native Sweden at age ten, Zara Larsson disappeared for a while, grew up a bit, honed her singing chops, then made it her mission to tear up the world stage of pop music. Mission accomplished: monster tracks “Never Forget You” (385 million streams) and “Lush Life” (485 million streams) feature Larsson, now 18, as a genre-bending artist, blending pop, EDM and even a little hip-hop. Larsson attracts a whopping 18 million monthly listeners and her current track, “Aint My Fault,” is killing it on our “Today’s Top Hits” playlist. 11. Demi Lovato: Demi Lovato commanded everyone’s attention with her assertive, no holds-barred album, Confident, which produced the mega title track as well as last year’s summer standout, “Cool for The Summer” (180M streams). Listeners are also embracing Lovato’s sultry track, “Body Say,” in a big way. Overall, the 24-year-old singer-songwriter attracts 10 million monthly listeners. 12. Daya: Singer-songwriter Daya can be heard all over The Chainsmokers’ massive summer ‘16 hit, “Don’t Let Me Down,” but in the summer of ‘15, her own track, “Hide Away,” (215 million streams) was already setting her stage for superstardom. The 18-year-old talent from Pittsburgh, whose real name is Martine Tandon, just dropped her full-length debut album Sit Still, Look Pretty and the title track has had an impressive run in Spotify’s “Today’s Top Hits” playlist. 13. BTS: This seven-member South Korean boy band are not only known for their musical talent but also for their large social media presence, and were named by Forbes as the most retweeted artist on Twitter in March 2016. However, let’s not forget where their prowess is built on; their lead hit single “Blood Sweat & Tears” from their second studio album (Wings) is fast becoming a fan favourite. It has gotten over 8 million streams since it was launched on Spotify. 14. EXO: EXO is definitely a boyband that everyone looks out for. Short for Exoplanet, these heartthrobs are known for their unique mix of rap, hip-hop, rock, R&B and most importantly their choreography. The band has been one of the most popular subjects on the Internet ever since they debuted in 2012. Their latest single “Dancing King” has been bringing in the stream numbers since launch, as it is now shy from 3 million streams. 15. BLACKPINK: BLACKPINK released their debut single album Square One followed by their second single album Square Two. Although, a recent newcomer to the industry, BLACKPINK definitely crushed any misconception anyone had about them. As, their (debut) hit singles - “Whistle” and “Boombayah” - secured the top positions on the Billboard World Digital Songs chart. They were fastest act to do so, and the third Korean artist to hold such spots. We don’t see this band slowing down anytime soon. 16. James Reid: James broke into the scene in 2013 when he released his self-titled album James Reid. This year he collaborated with Nadine Lustre and dropped the album On The Wings OF Love. This love anthem is definitively a hit as they are going on a world tour. We hope the tour continues to be a success and we are excited to see what else is in the pipeline for James. 17. Nadine Lustre: In 2014, Nadine Lustre launched her self-titled album and that was the beginning of her solo career. It was route that only pushed her further into the limelight and down the path of success. Hits after hits, Nadine continues to astound her fan and critics. During the recent 2016 Philippines Myx Music Awards, Nadine bagged the awards for Favorite Artist and Favorite Female Artist during. Her hit single “This Time (Original Movie Soundtrack)” has gotten Spotifiers excited as it has gained over seven million streams since it was made available on Spotify. 18. Julie Anne San Jose: With over 390 thousand monthly listeners, this multitalented lass has achieved so much over the years. With her latest album release, Chasing the Light, she is further cementing her position as Asia’s Pop Sweetheart. This album comes after the Platinum successes tagged to her debut and sophomore albums. 19. Leanne & Naara: Leanne Mamonong and Naara Acueza began performing together during their 1st year of college, but neither one knew how far their first school performance would take them. Fast forward five years, and they recently dropped their first single “Again”. Although released in August of 2016, the single has gained over one million streams. Proving that even though there are two of them, there is no doubt that their individuality complements each other. 20. Moira Dela Torre: Moira took her first big step towards a professional career when one of her original compositions, titled “After Your Heart” charted over top radio stations in Pampanga, Olongapo, Tarlac and Baguio. Following that successful introduction, her latest release titled “Malaya (Camp Sawi OST)” is fast gaining popularity on Spotify. 21. Morissette Amon: Morissette rose to prominence when she finished runner-up on TV5's Star Factor at the age of 14. She has definitely carved her name in the industry as earlier this year she was recognized as the Female Artist of the Year by M.O.R. Pinoy Music Awards 2016. It is then no surprise that her hit single “Nothing’s Gonna Stop Us Now” has garnered over six million streams on Spotify making it her most popular single thus far. 22. Ylona Garcia: At only 14-years-old, “Pinoy Big Brother 737” Teen 2nd Big Placer Ylona Garcia already has the makings of a pop superstar. She also has the credentials to prove it. Just last July, she simultaneously headlined a digital concert for ABS-CBN music portal OneMusic.ph and released her debut album My Name Is Ylona Garcia. From that album, “Dahan Dahan Dahan Lang” is becoming a fan favourite as it has over two million streams. 23. Daniel Padilla: As one of the Original Pilipino Music Junior Ambassadors, Daniel is definitely playing his role as a music representative for the Philippines. With three successful albums under his belt, he is still rocking the music industry. His current hits such as “Simpleng Tulad Mo” and “Walang Iba” are racking up the number of streams; collectively he is getting more than six million stream. 24. Janella Salvador: Janella Salvador might have burst onto the music entertainment scene as an actress, but she has quickly gained recognition for her sweet and exceptional singing voice. She released a self-titled album in 2015 propelled her music career further into the limelight. And earlier this year, her single “Born For You (Duet version with Elmo Magalona)” is building a strong fan base. 25. Darren Espanto: Darren dropped his sophomore album, Be with Me, earlier this year, cementing his presence and talent further known, even though he started performing at a tender age of 10. “7 Minutes” the lead hit single from this said album has been a fan favourite as it continues to rack in the number of streams. But really any fans are hooked on to “Stuck” as it continues holding the fort with over three million streams on Spotify.